Figuring out what has gone wrong with the 2018 Nationals is a multi-pronged study in disappointment. Few of the stars are starring, injuries have riddled the lineup and rotation and a certain swagger seems to be missing. Whether or not that’s because a certain bearded guy and a certain well-seasoned manager are both not around anymore, I’m not sure. 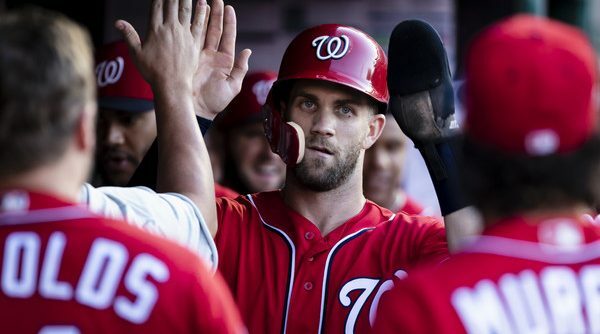 But I’ve talked to numerous other Nats fans over the last few weeks and each one has mentioned how the boys don’t really seem to be enjoying themselves. Now, obviously, it’s a lot easier to have fun when you’re winning than when you’re losing, but there’s a malaise settling over this team that we never saw from the Dusty Baker-led group of 2017. Hopefully, that changes after Thursday night’s thrilling comeback victory over the Marlins. But let’s not fool ourselves. 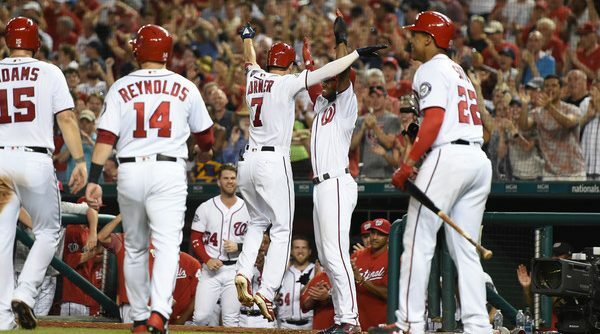 The Nats are still just 45-44 and in a tight spot in the playoff race. The margin for error is gone already, a situation the team never even came close to facing last season. I decided to look back at the 2017 squad to try and figure out what the hell has happened this year. A players’ meeting the night before. Very quickly getting out to a daunting nine-run deficit. 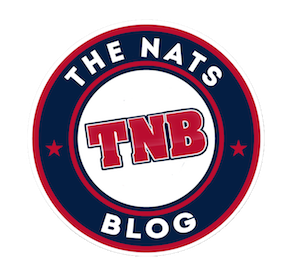 It seemed like the same old story, and the Nationals were going to lose badly yet again, and to a bad team, no less. 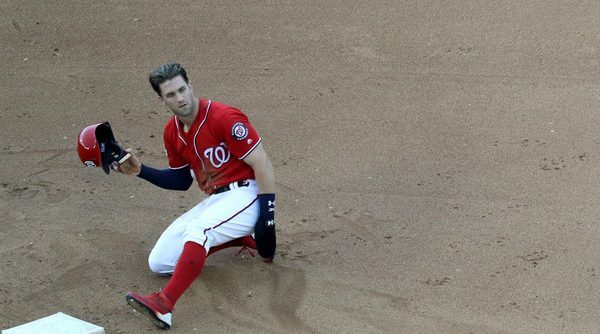 The same old Nats, and it looked like things weren’t going to get better. Continue Reading The Season’s Turning Point? For the majority of the 2018 season, the starting pitching has been the rock. The one thing the Nationals could rely upon when all else faltered (which it has, many a time). However, that rock hasn’t been so steady as of late. I’ve been one to advocate and campaign Nationals players for individual awards in the past. Tanner Roark for Gold Glove, Gio Gonzalez for a Cy Young nomination, Michael Taylor for Gold Glove, Ryan Zimmerman for Comeback Player of the Year. 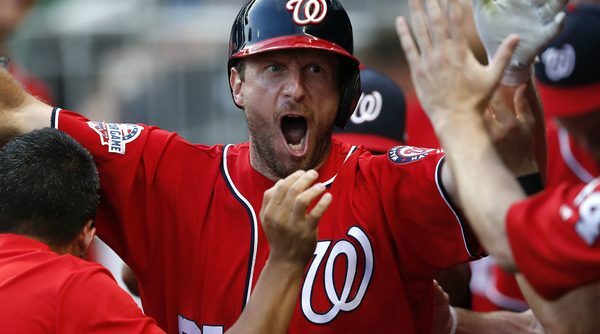 This year, I have a new campaign: Max Scherzer for Silver Slugger. The Nats are losing a lot of games. 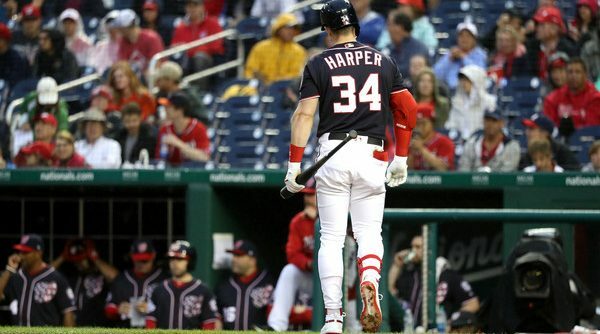 Bryce Harper’s slump kept me up for several nights last week. But even bad pizza is still pizza, and even the worst One Direction song is still an absolute banger. The Nats are doing poorly and yet they still bring me joy. Watching games, listening to games, even seeing score notifications on my phone while I do homework: all of these experiences deliver small moments of simple gladness. Damn, Daniel: What Kind of Murphy Will We See, This Year and Beyond? 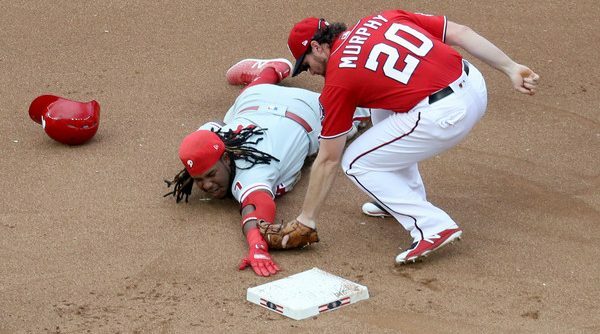 Daniel Murphy’s prolonged absence from the Nationals’ lineup, which thankfully concluded on June 12, was quite possibly the biggest reason for the team’s status as a sleeping giant. Yes, I realize the club sits well over .500 thanks to a 26-12 stretch after a 11-16 start, but the squad undeniably receives a super boost with the return of one of MLB’s finest sluggers – if that slugger can return to his 2016-17 form, a notion that is in doubt. Continue Reading Damn, Daniel: What Kind of Murphy Will We See, This Year and Beyond?